There is a large number of apps being launched with few supporting features of facebook in these day. For example: you may see that approx all the app are including login with facebook facility. And facebook also sharing their various features for several apps, Android phones, windows phones and for many other systems too. Alike the other features, recently a very enjoyable feature has been added with official Facebook app for iOS. Those regular users who use official Facebook app for iOS Smartphone, they may set HD video recording for upload and share their favorite HD video over Facebook. Here a question may be rise - why this feature doesn’t support by default to HD video recording, while it is available? Then its answer is very simple that it will support by default the HD video recording, but you will have to set it manually once. HowToUncle have shared many facebook tips in previous Articles (See if you have missed) like: How to Send Facebook Messages Via Email and How To show Your First Name Only On Facebook. And now sharing few more tips and tricks in this Article for you, by which you will be able to know How to set HD Facebook Video Recording on iPhone and make better recording quality. This is not difficult setting and it can be easily set up on iOS supported devices like iPhone, iPad. (1) Firstly, go to settings menu on your iPhone/iPad and after scrolling down you will see a option Facebook app settings. (2) You have to tap on it (Facebook app settings). (3) And under the Facebook app settings, you will have to tap on internal Settings of Facebook app. (4) After scrolling down you will be able to see a option of "Record HD Video" under Photo and Video section. (5) Now for the activation, you will have to tap on Record HD Video once. You can realize about its simple setting. Here one thing you have to keep in your mind and that is - the activation process of this feature is exact same in both iOS version (iOS 6 and iOS 7). After activation this option will point out as ON in iOS 6 devices, while in iOS 7 devices this option will point out by displaying green/Blue color tagged button. Thus, now you will be able to obtain the best quality of Facebook video from the Facebook app. 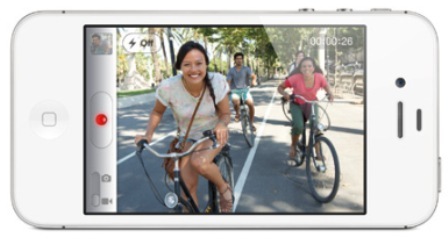 Several iphone/ipad users getting their favorite HD videos, now it’s your turn. Feel free to share your valuable comment with us.